3204 Overton Manor Dr, Vestavia Hills, AL.| MLS# 835561 | Richard Jacks UABLIVING.com 205-910-2297 | Birmingham AL Real Estate | Contact us to request more information about our Homes for Sale in the Birmingham AL area. 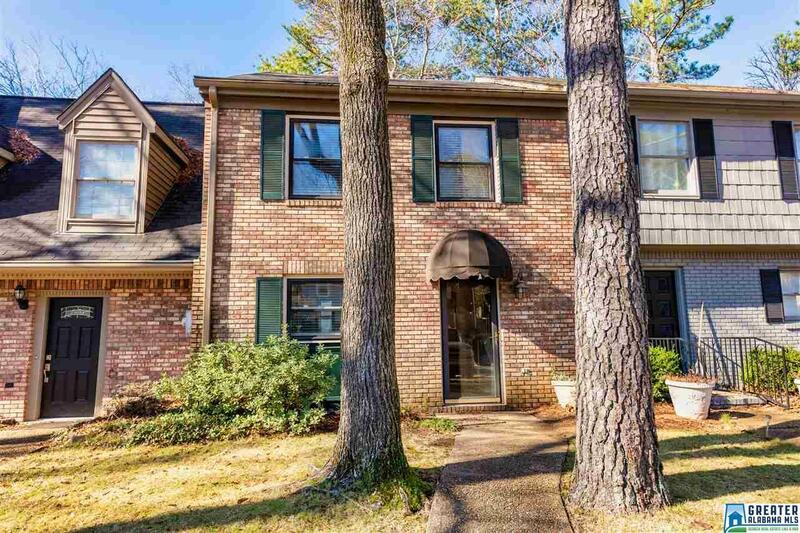 Warm and inviting 2BR/1.5BA townhome in Cahaba Heights. This home is welcoming with a family room/den open to the dining area. Fresh paint, new flooring, NEW HVAC and a BRAND NEW WHIRLPOOL stainless steel stove. Stone fireplace. Main level also features a powder room for guests. Back deck and yard area perfect for pets. Convenient storage closet outside for extra items. Upstairs features a "cloffice" at the top of the stairs. Two bedrooms, each with it&apos;s own sink and vanity area then a tub/shower to share. No association fees. Move in ready! Driving Directions: Go Through Summit To Crosshaven. Right At Greendale By Little Caesars - 2nd Townhouse On Left.